Thought For The Commute: Happy Monday! 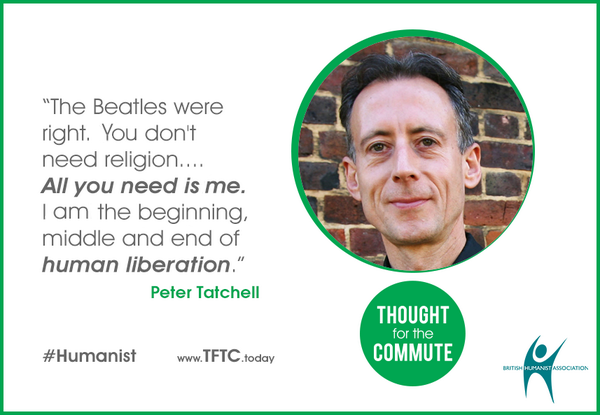 Part of a thought-provoking new ad campaign by the British Humanist Association, featuring the usually publicity-shy Peter Tatchell, Thought For The Commute. Please Mind The Wage Slavery etc etc. "All you need is love" is a nice sentiment but it's hippie guff, isn't it?